What is a Hip Joint Injection? 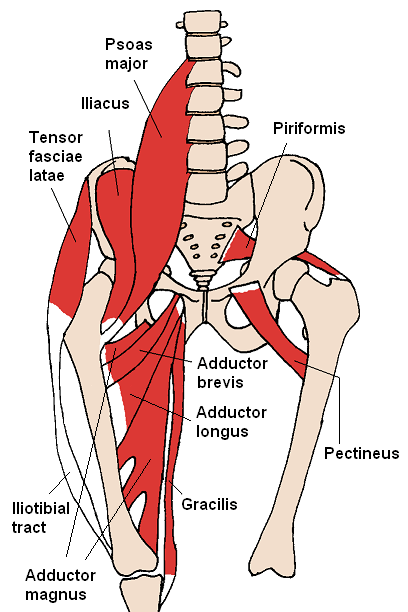 The hip joint is one of the largest joints on the body that supports a person’s weight. Since it sustains a lot of movement and everyday stress, people are at risk of developing osteoarthritis. Osteoarthritis is caused by the deterioration of cartilage within the joint, forcing bones to begin to rub together. It is the most common form of arthritis in the United States and hip osteoarthritis itself is a common cause of death for many elderly people each year. For patients who have been identified as having hip osteoarthritis, stiffness, pain, and inflammation within the joint can make it difficult to be mobile and remain active. A hip injection is a non-surgical procedure which is recommended to patients who have developed chronic pain and inflammation due to osteoarthritis, injury, or disease. The injection contains a local anesthetic and sometimes a steroid that will assist in relieving pain and inflammation symptoms within the joint for prolonged periods of time. Hip injections do not cure the cause of the pain, but they are an alternative pain management solution for patients who are faced with hip surgery. It can also be beneficial to patients who are not viable candidates for hip surgery due to other health issues. How Is a Hip Injection Performed? 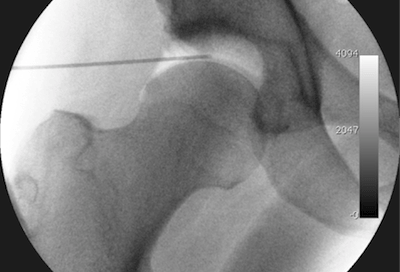 A hip injection is an out-patient procedure that takes minimal time to administer. The patient is asked to lie on their side, with the problematic hip joint facing outward. The physician cleans the intended injection site with an iodine solution before administering the injection. 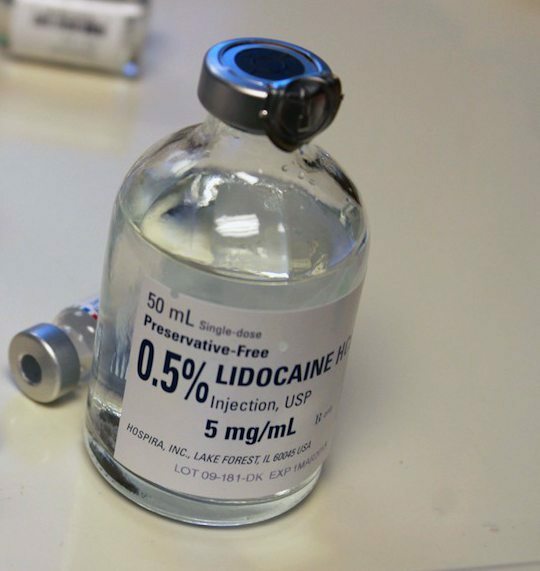 A needle filled with a local anaesthetic, like Lidocaine, or a type of steroid, is then inserted into the hip joint where the pain has been identified. Since a hip injection is done with a medicated needle, any build up of fluids or pressure in the joint may be released during this procedure as well, which can also assist in pain relief. After the injection is complete, the patient is moved to a recovery area where their pain relief is monitored for one to two hours. If the patient reports that the pain dramatically decreased after the hip injection, then it is likely that the cause of their pain is directly from their hip joint. If the patient does not feel noticeable pain relief afterward, this would indicate that the origin of the pain and inflammation may be located in a different area of the joint rather than where the injection was inserted. For any injection procedure, there are possible side effects. Skin discoloration, swelling, insomnia, tenderness of the injected area, an allergic reaction, excessive bleeding, or tendon rupture (very rare) may occur. The hip injection treatment will fully take effect and become noticeable to the patient within a week following the procedure. Although a hip injection procedure does not provide permanent relief for patients, it does give them pain and inflammation relief for a few months at a time. Depending on the patient’s condition and medical history, the physician may recommend multiple injections over a three week period for greater effects. Hip injections have been a successful solution for patients seeking pain and inflammation relief due to osteoarthritis, injury, and disease. Patients have also reported increased mobility and enhanced quality of life after the procedure. Hip injections are commonly recommended as an option for patients who are against surgical procedures or for those who are not viable candidates for surgery and hip replacements. It is vital that a series of hip injections are administered to a patient only a few times each year. Too many injections into the hip joint could weaken the bone and tendons surrounding the joint and cause further damage to that area of the body. A physician will be able to assess the patient’s medical condition and develop a long-term hip injection schedule that will be safe and most beneficial for pain relief. A hip injection is an effective form of pain treatment for patients who have been diagnosed with hip joint problems. This type of procedure will not only offer pain and inflammation relief, but it can assist physicians with determining the exact origin of the patient’s pain. A hip injection is a minimally invasive treatment option for those patients who would like to avoid long term opioid treatments, surgery, or full hip replacements. At Nevada Pain our goal is to relieve your pain and improve function to increase your quality of life. Bhagra A, Syed H, Reed DA, et al. Efficacy of musculoskeletal injections by primary care providers in the office: a retrospective cohort study. Int J Gen Med. 2013;6:237-43. Cole BJ, Schumacher HR Jr. Injectable corticosteroids in modern practice. J Am Acad Orthop Surg. 2005;13(1):37-46. Courtney P, Doherty M. Joint aspiration and injection. Best Pract Res Clin Rheumatol. 2005;19(3):345-69. Cunnington J, Marshall N, Hide G, et al. A randomized, double-blind, controlled study of ultrasound-guided corticosteroid injection into the joint of patients with inflammatory arthritis. Arthritis Rheum. 2010;62(7):1862-9. Lambert RGW, Hutchings EJ, Grace MGA, Jhangri GS. Conner Spady B, Maksymowich WP. Steroid Injection for osteoarthritis of the hip: a randomized, double-blind, placebo-controlled trial. Arthritis Rheum. 2007;56:2278–87. Moore K, Dalley A. Lower limb. In: Clinically Oriented Anatomy. 4th ed. Baltimore: Lippincott Williams & Wilkins; 1999:504-613. Tepper S, Hochberg MC. Factors associated with hip osteoarthritis: data from the First National Health and Nutrition Examination Survey (NHANES-I). Am J Epidemiol. 1993;137:1081–8. Valat JP, Rozenberg S. Local corticosteroid injections for low back pain and sciatica. Joint Bone Spine. 2008;75(4):403-7.